The Balkan Wars took place between 1912 and 1913. In the First Balkan War the combined armies of Bulgaria, Serbia, Greece and Montenegro overcame and defeated the Ottoman armies achieving rapid success. In our tour we survey the two main battles fought by the Greek Army in Macedonia. 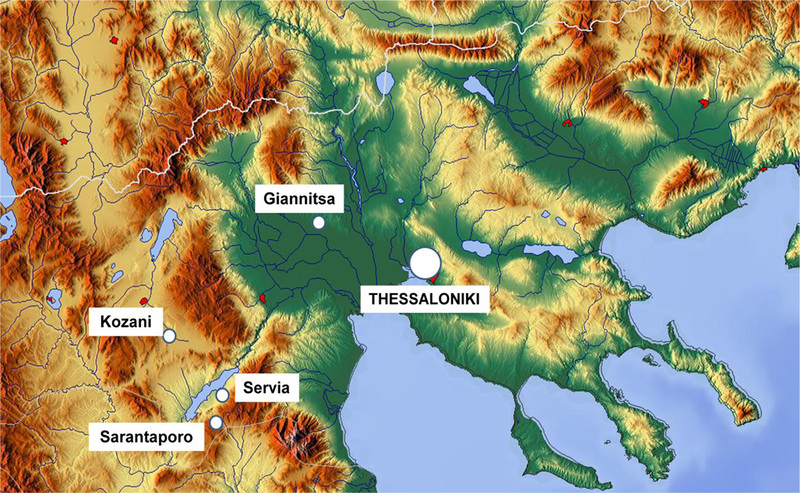 In the first day we travel to Sarantaporo, located 140 km southwest of Thessaloniki. The battle took place on October 9–10 1912 and it was the first major battle fought between the Greek and Ottoman armies in the First Balkan War resulting in a Greek victory. We the follow the advance of the Greek Army through Servia to Kozani. On the second day we survey the battle of Giannitsa, which took place between the Greek Army and the Ottoman Army on October 19–20 1912. Turkish forces withdrawing from defeat at Sarantaporon made a stand at Giannista to block the Greek forces, northwest of Thessaloniki. Greek advance units were checked, but a major assault next day threw the Turks back. A week later, Hassan Taksin Pasha surrendered Thessaloniki. Our final stand is at the Balkan Wars Museum in Gefyra, 30 km west of Thessaloniki with rich collections of equipment from all the Balkan Wars’ belligerents.